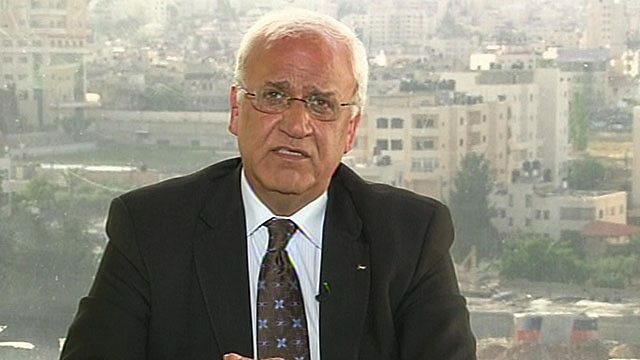 HARDtalk speaks to Palestinian Authority Chief Negotiator Saeb Erekat. What does the new right-wing Israeli coalition government under Benjamin Netanyahu mean for the Palestinians? What does the new right-wing Israeli coalition government under Benjamin Netanyahu mean for the Palestinians? The Palestinian President Mahmoud Abbas has made moves recently to win international backing for his cause - particularly through the United Nations.. Will this strategy help or hinder their aspirations for statehood? Zeinab Badawi talks to the Palestinians' veteran chief negotiator Saeb Erekat. Can they isolate Israel and achieve recognition of a Palestinian state through international diplomatic channels?